This neo-rustic collection of tableware is made of black sandstone. 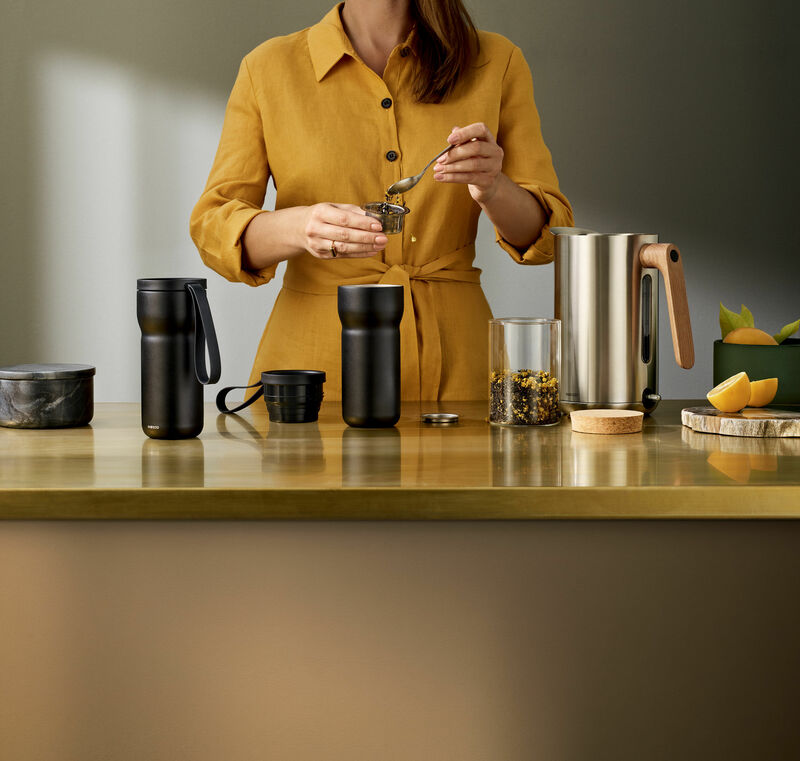 The simple, sleek, cylindrical shapes are typical of Nordic design. The matt, velvety finish is very elegant. This Nordic Kitchen tableware will look just as good on an everyday table as on a more formal, festive table. All the pieces in the collection are dishwasher, oven, microwave and freezer-safe. This insulated mug with tea infuser included (0.35 litre) is the ideal solution to keep your tea hot or cool at your fingertips! 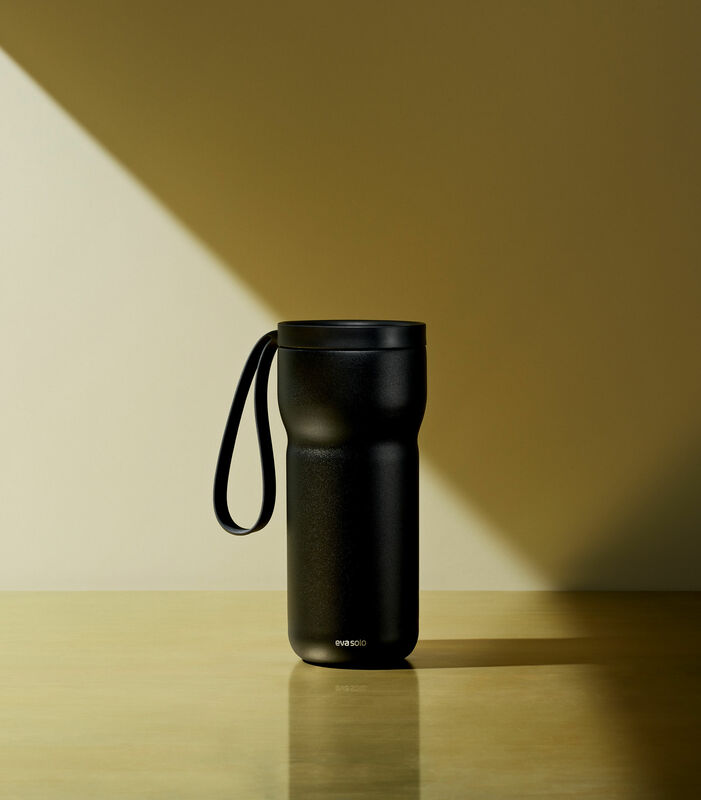 You're going to the office, heading off on a stroll or going for a jog... Don’t worry: this compact, insulated mug fits in any bag and lets you enjoy your tea any time you like! Perfect for modern adventurers! 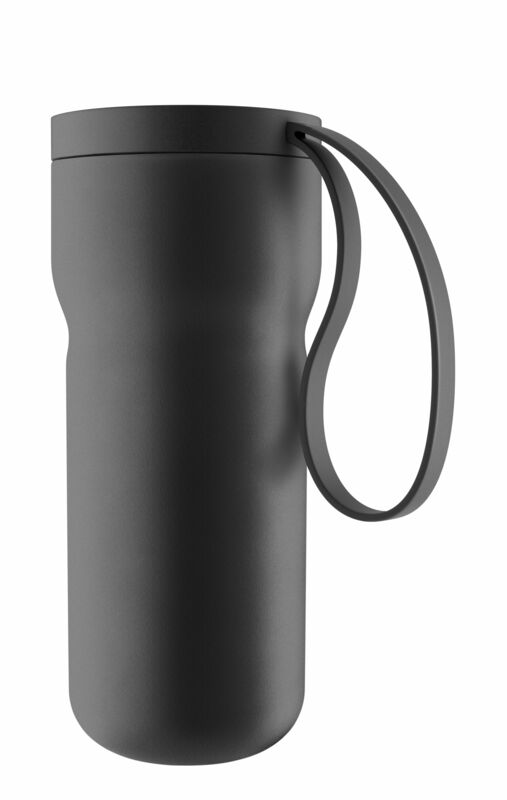 The double stainless steel wall keeps your drinks at the right temperature for longer: 6 hours hot or 24 hours cool! 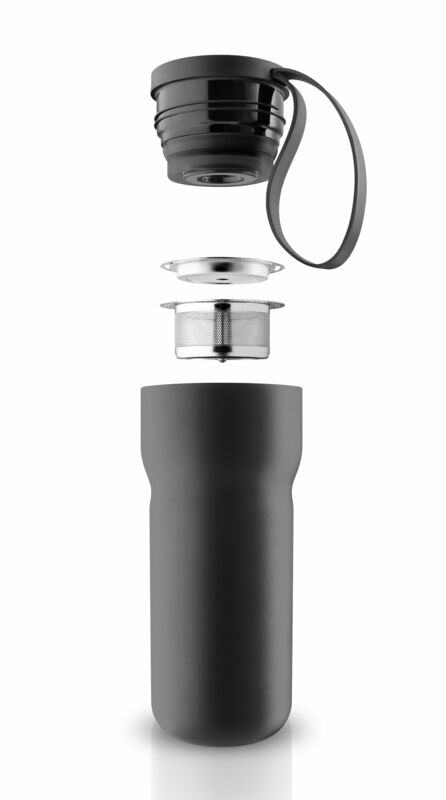 The stopper ensures a perfect seal while being very easy to remove and put back again: it screws onto the thermos very easily. 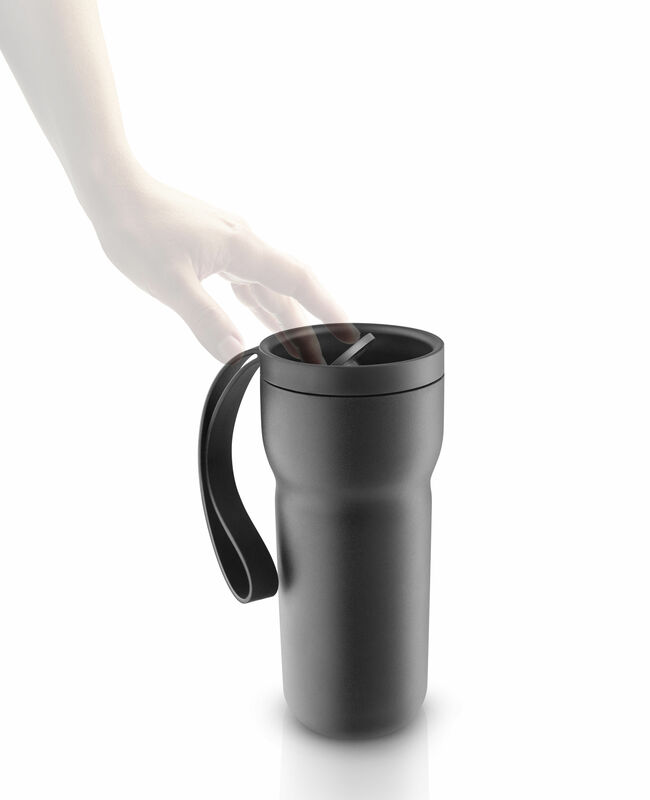 Once in place, all you have to do is put your hand through the wrist strap and you can move about with your thermos mug on your wrist! 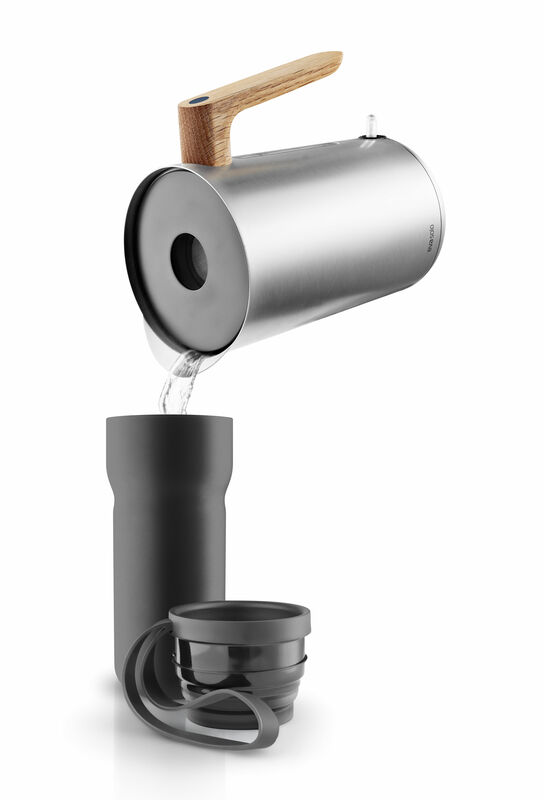 The infuser is removable and lets you drink something other than tea.